Pastel drawing is one kind of artwork similar with paintings and oil pastels, all art for sale of animals, horses, dogs, landscapes, women and childern in the gallery can be painted as painting pastel on canvas or paper. 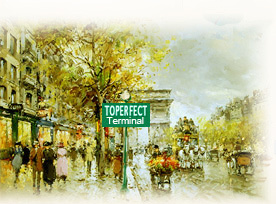 Toperfect, the terminal to your hard journey of searching for suppliers of pastel artwork! Toperfect Art supplies pastel paintings on canvas or paper in depiction of landscapes, flowers, children, portrait, chicken, Rembrandt, women, animals, horses and dogs. 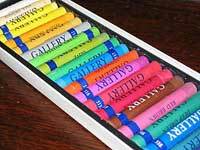 Our artists pastels not only supply reproduction, but also sell originals. The painters in manufacturer are good at famous art reproductions and other beautiful art wholesale such as portrait pastels, chicken pastel, pastel flowers, Rembrandt pastel, black pastel, landscape, flowers, children, women, horses, animals, dogs. Most painting suppliers use cheap even bad materials for painting business in order to chase cut-throat competition and catch profit. But Toperfect Art is distinctive. For pastels painting in high quality and Museum-Collection by Famous Artists, we use high quality materials including FREE linen canvas made of flax and cotton, certified pastel pigment, which is guarantee to get elegant artistic results and hundred years to collect carefully. To buy any one of pastel artworks, please check Toperfect Catalogue to select artwork and choose painting type as "Watercolor, pastel, gouache" from the pull-down menu, then email us that you want it as painting in pastels on paper or canvas. You're welcome to order portraits in pastel and custom painting from photos whatever landscape, pastel flowers, children, women, horses, animals of chicken pastel and dogs. Painting pastels are often confusable with crayons, both is in the form of a stick, but pastel consist of pure powdered pigment and a binder. Its pigments are the same as those used to produce all colored art media such as oil paints and wax crayon; the binder is of a neutral hue and low saturation. A crayon made of oiled chalk is called an oil pastel; when made of pigment with a dry binder, it is simply a pastel; both are popular media for color artwork. Pastels paintings, also named as colored pastel painting. Art pastels are drawn by sticks moving over an abrasive ground, leave color on the grain of the paper, sand board, canvas etc. When fully covered with pastel, the artwork is called drawing pastels; when not, called pastel sketch. Paintings in pastels on canvas, being made with a medium that has the highest pigment concentration of all, reflect light without darkening refraction, allowing for very saturated colors. Soft pastels perform smartly like watercolor and hard pastel like heavy paint, it can be worked quickly in special artistic results, so it's beloved by many pastels artists. Pastel art start from Paleolithic Age, people use stone powder as pigment to draw animal and working scenes. The pastel medium was first mentioned by Leonardo da Vinci in 1495, and other Renaissance masters such as Michelangelo and Hans Holbein as well as pastel painting gallery nowadays. Artists such as Maurice Quentin de La Tour and Rosalba Carriera have been using oil pastels to create drawings as far back as 1703.During the 18th century the medium became fashionable for portraits in pastels, used in a mixed technique with gouache. 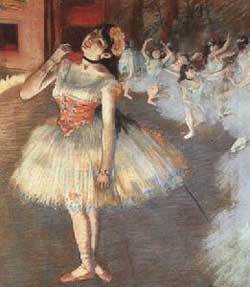 Impressionism masters including Millet, Manet, Renoir and Degas left many pastel painting landscapes and women such as "Bather". In the United States, initially pastels only had occasional use in portraiture. However in the late nineteenth century, pastels drawing for sale became more popular. The Society of Painters in Pastel was founded in 1885. The Pastellists, led by Leon Dabo, organized in New York in 1910. Pastels drawings have become popular in modern art because of the medium's broad range of bright colors. light have suffered the same problems as can be seen in some oil paintings using the same pigment. * oil pastel art are properly mounted and framed under glass in a way which means that the glass does not touch the artwork. This avoids the deterioration which is associated with environmental hazards such as air quality, humidity, mildew problems associated with condensation and smudging. * Some pastel artists protect their finished pieces by spraying them with a fixative. A pastel fixative is an aerosol varnish which can be used to help stabilize the small charcoal or pastel particles on a pastel portrait painting. It cannot prevent smearing entirely without dulling and darkening the bright and fresh colors of pastels. It is also toxic, therefore it requires careful use. For these reasons, artist pastels and painting gallery avoid its use except in cases where the pastel has been overworked so much that the surface will no longer hold any more pastel. The fixative will restore the "tooth" and more pastel can be applied on top. It is the tooth of the painting surface that holds the pastels, not a fixative. Abrasive supports avoid or minimize the need to apply further fixative in this way. Glassine (paper) is used by pastel painters to protect artwork which is being stored or transported. 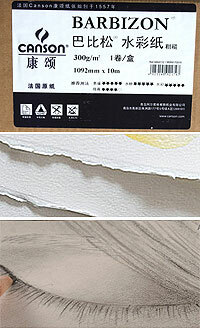 Some good quality books of pastel papers also include glassine to separate pages.